Publication: Published by John Tallis. From the Montgomery Martin Illustrated Atlas. London. 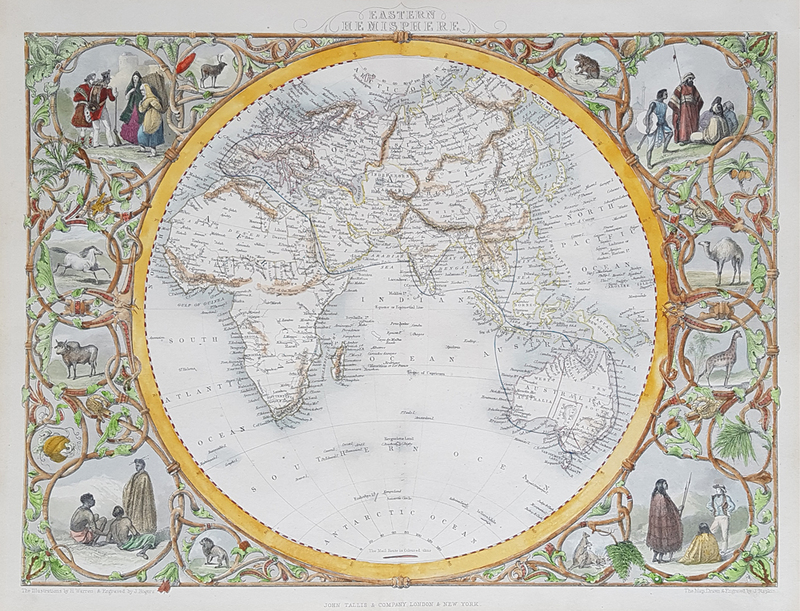 Description: Very decorative antique maps of the Eastern and Western Hemispheres surrounded by vignettes. Engraved by John Rapkin. Condition: Folding copies as published, Early outline colour with some later colouring. 10.25 x 13.5 " approx.